Are you passionate about fighting poverty? If yes - then our Direct Marketing fundraising team is the right place for you! CARE International UK’s small but dedicated marketing team is known for its pioneering approach and commitment to fighting poverty and injustice. We are a charity that’s going places – and fast. In the UK we have launched a number of innovations for individual supporters including Lendwithcare.org – our award winning micro-lending website; and a number of successful events such as Walk in her Shoes and March4Women. After a successful period of testing and learning, CARE is growing its Individual Supporters team and investment so that we can bring lasting change for more of the world’s poorest communities. We are currently looking for a Database Marketing Officer who will help to achieve our plans for expansion by ensuring timely and accurate data is available to our individual supporters’ teams. It’s never been more important to provide teams with quality data and ensure our database is up-to-date and in great condition. Experience of using a charity database is a must, preferably Raisers Edge. The role will be responsible for importing and exporting data to and from Raiser’s Edge from a variety of sources; supporting the fundraisers in delivering appeals through data selections; reporting and analysing data and working with the Database & Supporter Care team to improve support and understanding of CARE supporters. If you have database marketing skills and a desire to speed up the efforts to fight poverty, we are interested in hearing from you. CARE International is one of the world’s leading humanitarian charities. We fight poverty and injustice in more than 80 countries to help the world’s poorest people find routes out of poverty and injustice. We also deliver emergency aid to survivors of war and natural disasters, and help people rebuild their lives in the aftermath. CARE International UK has a zero tolerance approach to any harm to, or exploitation of, a vulnerable adult or a child by any of our staff, representatives or partners. Recruitment to all jobs in CARE International UK includes, in particular, criminal record checks and the collection of relevant references. Safeguarding our beneficiaries is our top priority in everything we do. We are committed to Equality and value Diversity. We are a Disability Confident Employer and particularly welcome applications from disabled people. 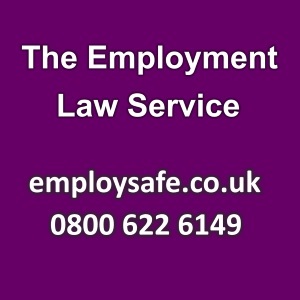 We guarantee interviews to disabled applicants who meet the essential criteria for the job (see person specification). If you require the candidate brief or need to submit your application in an alternative format, because of a disability, please do get in touch by sending an email to, info@careinternational.org. For further details about the role and how to apply, please visit our website.